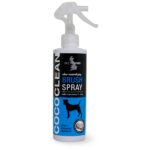 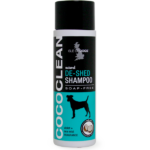 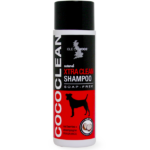 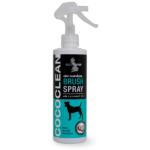 CocoClean is a collection of shampoos, conditioners, and brush sprays that are soap-free, sulfate free, paraben free and infused with coconut oil. 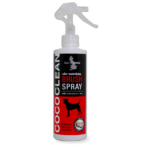 Coconut oil offers many benefits to a dog’s coat. It promotes a healthy and soft coat; helps relieves dry, itchy, flaky, & irritated skin; reduces protein loss and strengthens hair; promotes a stronger protective skin barrier; and serves as an all-natural refreshing deodorizer.